Small baluster-shaped vase with wide neck and slightly everted rim. Decorated under a pale uneven peach-bloom glaze with a procession of three insects holding various flowers. Seal-mark in underglaze blue on the base: Makuzu Kōzan sei. 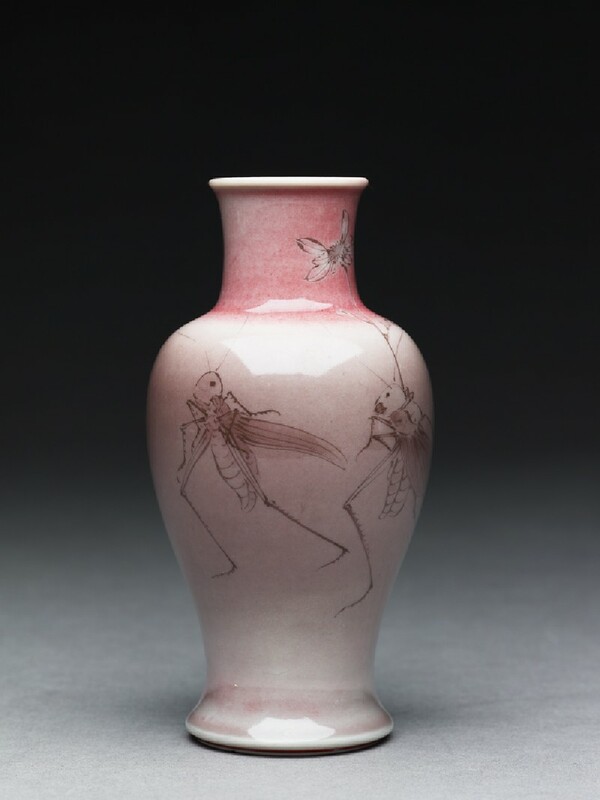 Kōzan made several shapes and sizes of vases with a peach-bloom glaze decorated with underglaze copper-red drawings of processions of insects carrying flowers as if they were banners. These, caricatures of Edo period daimyō processions, derive from paintings by artists such as Nishiyama Hōen (1804-1867), themselves possibly inspired by the twelfth century Chōjō giga handscrolls. 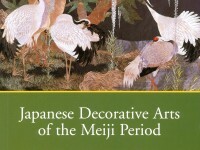 Bought in Japan by Sir Herbert and Lady Ingram in 1908.